Nerax, The New England Real Ale Exhibition organized by the Cask-conditioned Ale Support Campaign (CASC) is starting tomorrow, March 20th in Somerville, Massachusetts. 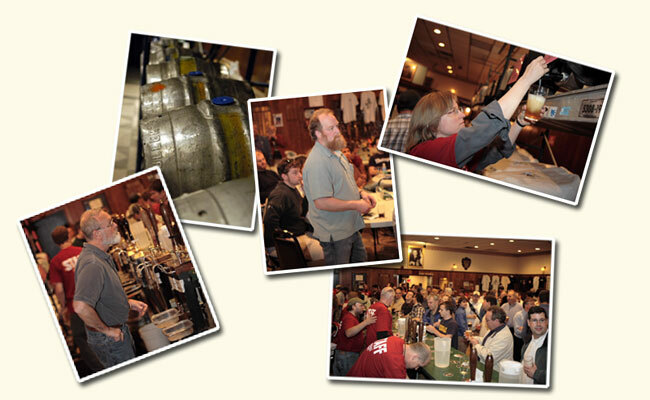 It will be hosted by the Somerville American Legion Hall Post 388 and will go through Saturday, March 23th. I will be attending the afternoon session on the closing day. It is my first Nerax but the Festival is actually happening for 17 years. Over 110 firkins of Real Ale and Cider will be served: 60 beers from England, Scotland and Wales and roughly 50 beers from US, mostly from New England. All the beers are cask-conditioned and pulled by gravity or hand-pump. Cannot wait! I think started to drool when I am typing this post... See you guys there..!